The Pokémon Company International and Nintendo today revealed new details about the recently announced Pokémon: Let’s Go, Pikachu! and Pokémon: Let’s Go, Eevee! video games, including details about the Mythical Pokémon Mew, Pokémon GO integration, and much more. Developed by GAME FREAK inc., both games are designed for players taking their first steps into the Pokémon video game world, while giving longtime fans a new way to play Pokémon. Pokémon: Let’s Go, Pikachu! and Pokémon: Let’s Go, Eevee! will launch in Europe on November 16, 2018 exclusively on Nintendo Switch. Nintendo’s E3 2018 digital presentation included additional details about the Mythical Pokémon Mew, an incredibly rare Pokémon that cannot be encountered in regular gameplay in any of the Pokémon main series games. For Pokémon: Let’s Go, Pikachu!and Pokémon: Let’s Go, Eevee!, Mew will be available in the Poké Ball Plus, and players will be able to transfer it to their version of these new games. 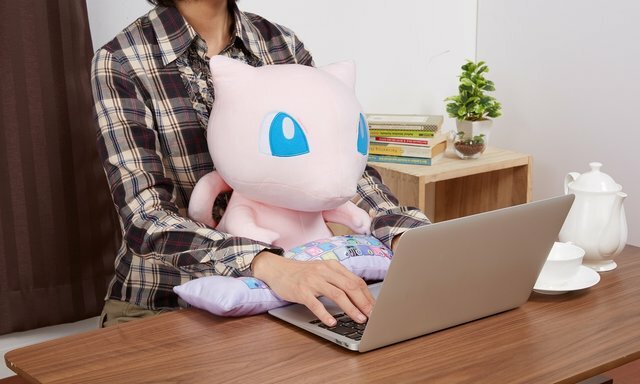 Each individually sold Poké Ball Plus will contain Mew, as will all the Poké Ball Plus accessories sold in special packs. Mew caught while playing Pokémon GO cannot be brought into Pokémon: Let’s Go, Pikachu! or Pokémon: Let’s Go, Eevee! Additional game information was unveiled via the Nintendo Treehouse Live presentation at E3 2018 in Los Angeles, where Game Director Junichi Masuda from GAME FREAK gave a demonstration of the game. Various gameplay elements were shown, including parts of the Viridian Forest, Pewter City, and a familiar face to Pokémon fans—Brock! GO Park—GO Park is enabled as a player progresses further in the game and will help players befriend Pokémon from Pokémon GO in Pokémon: Let’s Go, Pikachu! or Pokémon: Let’s Go, Eevee! This feature allows for Kanto region Pokémon from Pokémon GO to be transferred to Pokémon: Let’s Go, Pikachu! and Pokémon: Let’s Go, Eevee! These Pokémon will then need to be captured with a Poké Ball again. The player can interact with them in a whole new way in Pokémon: Let’s Go, Pikachu! and Pokémon: Let’s Go, Eevee! Candy Jar—Players can use a variety of Candies to strengthen their Pokémon in a training system introduced in Pokémon: Let’s Go, Pikachu! and Pokémon: Let’s Go, Eevee! Later in the game, players will be able to send their Pokémon to Professor Oak to receive these candies. Link Trading and Battles—Players will be able to trade and engage in Single and Double Battles with other players online and via local wireless communication. Battling and trading online will require an active Nintendo Switch Online membership, a paid service launching this September.